The late and insufficient rainfall coincides with weak economic growth, which affects the ability of consumers to afford price increases for meat products. Above-average yields may not be realised in the summer grain production regions. 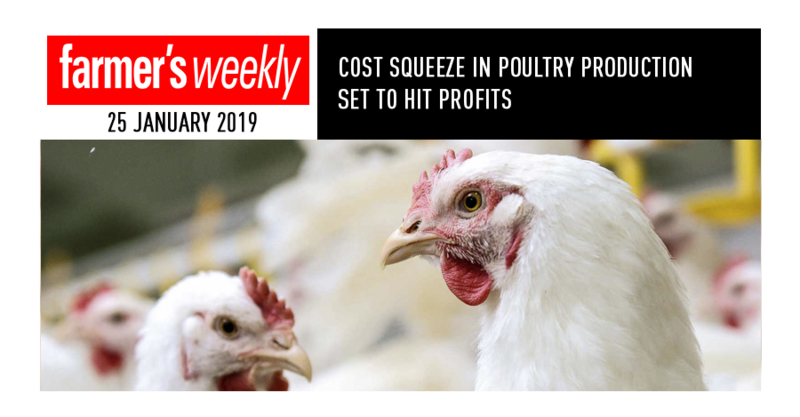 This will lead to higher feed costs for poultry producers, who will eventually have to absorb the increased costs of production. The unexpected drought during the planting season for summer grain crops had a negative impact on the crop production potential of maize. The lack of rain led to a sharp increase in the prices of grain and oilseed. By the end of November, the price of yellow maize delivered in July 2019 was trading on the JSE at R2 400/t. As uncertainty increased, the yellow maize contract price for July 2019 continued to rise, reaching R2 855/t by 21 December 2018. The price of yellow maize for delivery in March 2019 increased from R2 347/t to a maximum of R2 845/t by 21 December. However, since this date,the prospect for rainfall has increased, and as a result, by the first week of January, contract prices for delivery in March and July declined to R2 750¢t. The price increase for grain and oilseed due to the late-season rainfall and drought during planting is expected to lead to an increase of 15% to 20% in feed prices during February and March. This will have a negative impact on the profitability of the poultry industry (seeGraph1). 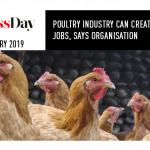 Feed accounts for between 65% and 68% of total production costs for poultry. Some feed companies have reportedly already notified producers to expect feed cost increases during January. In order to cover the higher feed costs, the industry needs to increase the prices of individually quick-frozen chicken portions (IQFs) by 20%, but an increase of this magnitude may trigger consumer pushback. The higher feed costs will also reduce the profitability ofthe egg-laying industry. The increase in the demand for chicken normally spikes for the three weeks before Christmas. In 2018, this period was limited to the two days before Christmas, indicating the extent of the pressure that consumers were under. To make matters worse,the import of cheaper chicken products, such as IQFs, in December, as well as alleged stock building by retailers of frozen poultry meat products since the end of November, limited frozen and fresh poultry meat prices from following seasonal increases that could have boosted producer income in December. to favour chicken over pork, and lower supply when an avian influenza outbreak affected local supply. However, producers anticipate that any profits they may have earned during the past two years will be eroded by expected losses in 2019. 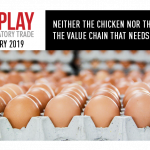 Alongside a rather sharp increase in the price of maize since November last year, the price of IQF products declined by 9%, whole frozen bird prices declined 10.5% ,and whole fresh chicken prices fell 6,6%. Compared with poultry product prices, the price of beef fell year-on-year by 4%, mutton by 12% and pork by 3,7% (seeGraph2).